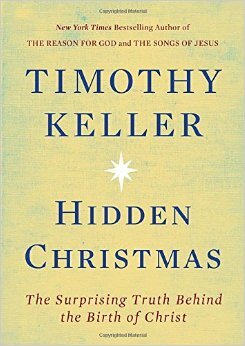 Hidden Christmas: The Surprising Truth Behind the Birth of Christ TImothy Keller (Viking) $20.00 I believe this is my own choice for best holiday book this year (even though it is not a daily devotional, but a sustained short book.) I am very grateful for its clear headed teaching. Keller is known for preaching to fairly sophisticated New Yorkers and he loves to draw in citations from sources as divergent as Bertrand Russell and J.R. R. Tolkien and Vaclav Havel. Drawing on contemporary pieces in the New Yorker to old school theological voices from church history and plenty of episodes from his own life, Keller knows how to weave together wonderful essays, powerful, compelling sermons, always relating the power of the gospel to help us realize that we cannot rescue ourselves, that God in Christ is doing the work necessary to bring us salvation, community, and a future of sustainable hope. 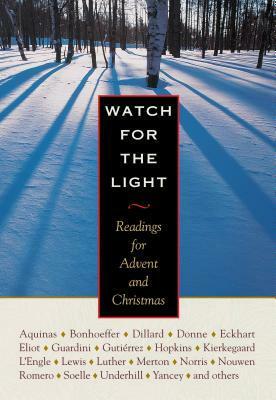 Like most of our BookNotes readers, I have enjoyed many a Christmas and have read lots of pages of Advent devotionals. Too many seem scolding, urging us to do, or not do, this or that. Hidden Christmas allows us to enter the texts themselves within the bigger picture of the whole of Scripture, revealing the good news of God’s grace. My heart sings as I hear such solid, gospel-centered preaching related so well to an audience seeking for deep truth. Despite the blase cover, this offers eight really good chapters making one cogent case for Christmas’s truest meaning. Highly recommended. This Advent study will ponder each title and how the people understood it then, and how Jesus did or did not fulfill the title, and how Christians interpret Jesus as representative of that title. As we ponder the use of those titles with reference to Christmas and the birth of Jesus, two things become clear. First, in the witness to Jesus by the early Christians in the New Testament, they relied heavily on Old Testament “anticipations” of the coming Messiah. But second, Jesus did not fit those “anticipations” very well, such that a good deal of interpretive imagination was required in order to negotiate the connection between the anticipation and the actual, bodily, historical reality of Jesus. 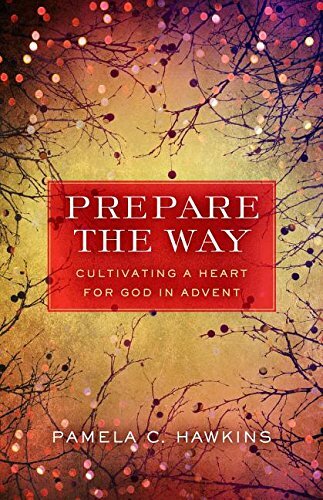 Prepare the Way: Cultivating a Heart for God in Advent Pamela C. Hawkins (Upper Room) $17.99 We really appreciate the gentle, lovely tone of most of the spiritual formation books published by this classic publisher and this nice collection of readings is a fine example of their style. What does it mean to “prepare your heart”? Does Advent sometimes just slip away before we’ve prepared our hearts to welcome the Christ child? This book is arranged in a particular flow: Each of the four weeks starts with a reflection question to set the stage of deeper pondering. Monday has a brief reflection on the theme of the week — a rumination on the one word topic; Tuesday offers an article or reading; Wednesday has an Advent Prayer of Intercession followed by an invitation to remain in intercessory prayer by using a prayer exercise; the fourth weekly entry offers a selection from the prophet Isaiah and some reflection questions (she notes that in her growing up she didn’t hear much about the Older Testaments relationship to the gospels); the fifth weekly entry is a selection from the Gospel of Matthew, followed by a set of reflection questions connecting the reading to the week’s theme word. Day Six has a guide to the spiritual practice of lectio divinia, a sacred reading, using verse from one of the weeks two scripture passages and the final day’s entry has a reflection exercise prompting personal response to questions about how the theme word influences faithful living in the word, closing with an Advent Benediction. This format is followed for four weeks. It is fine for personal, daily use, but there is also a leader’s guide in the for using this as a weekly class, Bible study, or other small group sessions. The much respected and beloved preacher Maxie Dunnam says “I can’t imagine a more inviting and challenging reflection on Advent and Christmas.” Wow — that’s quite an endorsement. 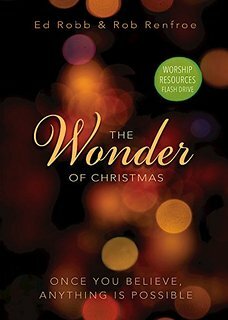 This really is a nice teaching guide — there is a Wonder of Christmas DVD ($18.99), too, a leaders guide ($12.99), even a youth study ($9.99) and a children’s leader’s guide ($18.99) if you want to do an all church study. It could very easily go along with an Advent wreath and candle experience (they encourage you to use one.) If you are familiar with the themes of the Advent candles, you’ll see how this captures that tradition. A star, a name, a manger, and a promise. (Which is to say, hope, peace, love, joy.) After each week’s reading there is a set of discussion questions, a meditation, some Bible verses and a prayer.) Ed Robb is the senior pastor and Rob Renfroe is pastor of adult discipleship at The Woodlands United Methodist Church in Woodlands, Texas. There are four solid chapters in this paperback and many will enjoy it as a quick study of the classic Victorian novel. If you want to dig further and enjoy the wit and verve of Matt Rawle, you can get the DVD ($39.99) and Leader’s Guide ($12.99), and a youth study book ($9.99), too. There is even a flash drive with worship resources ($34.99.) Fascinating! 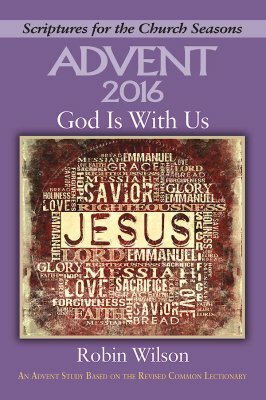 Advent 2016: God Is With Us — An Advent Study on the Revised Common Lectionary Robin Wilson (Abingdon) $12.99 This yearly release in the “Scriptures for the Church Seasons” series is usually a good seller for us, a no-nonsense, always interesting, inductive study of the texts found in the Revised Common Lectionary. There are short meditations each of the five weeks and then reflection questions making this ideal of an Adult education class. It’s designed to be used in Bible study groups or in adult Sunday school. God Is With Us — An Advent Study draws on the Old Testament readings, the Lectionary Epistle, and usually the Year A Matthew texts. (Year A gives us Luke, of course, on Christmas week.) Robin Wilson is a graduate of Vanderbilt University and Duke Divinity School and is now a co-pastor in Alabama. 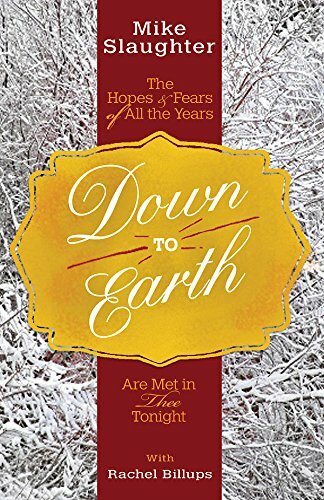 Down To Earth: The Hopes and Fears of All The Years Are Met In Thee Tonight Mike Slaughter & Rachel Billups (Abingdon) $16.99 Do you know Mike Slaughter? He has been the pastor of a nearly progressive mega-church, if you can imagine such a thing. He has a pretty successful, quite large, very evangelical church with progressive political concern; he’s outspoken and yet practical — he has numerous books about Christian living on being spiritual entrepreneurs, about resisting the allure of idols, even a few books on finances in Biblical perspective. It’s good to see a visionary who gets down to earth, with wisdom for all. (Brian McLaren says “if you’re a churchgoer or not, if you lean conservative or liberal, if you vote Republican or Democrat, if you’re a fervent believer or a wondering skeptic… Mike Slaughter will challenge you and inspire you.) There is a bit of social concern stuff explore here and some of the profits from the sale of this book go to the UMCOR “Beyond Bethlehem” program offering “hope for refugees this Christmas season” Good stuff. 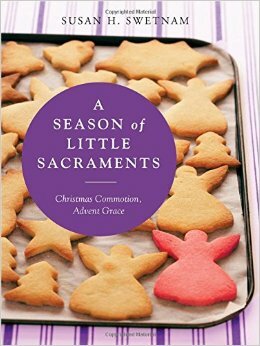 I wish I had room to show you the whole fascinating table of contents of A Season of Little Sacraments but know that there are very interesting chapters within the structure of four December weeks. Week 1 is called “Opening to a Season of Longing and Hope” and has suggestions such as “making an Advent playlist” and “hosting a wreath-making party” and shows how to find God’s ordinary presence in stuff like putting up Christmas lights and how to cultivate hospitality by planning a big party. Well, it goes on, with Week 3 helping us “Leaning into Community.” One chapter is called “Facing Mutability” and redeems the moments trimming the tree while a chapter on cooking with children is rather surprisingly called “Acknowledging Generosity.” Week 4 is called “Celebrating on the Doorstep” and there are four great-looking chapters (including “Feeding Birds in the National Forest” and one about the temptation of shopping at the last minute. 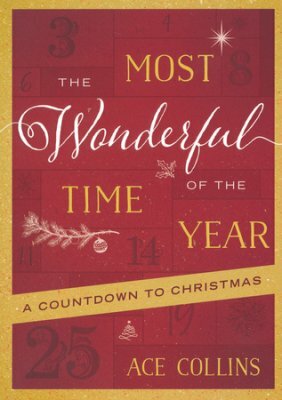 The Most Wonderful Time of the Year: A Countdown to Christmas Ace Collins (Abingdon) $16.99 Here is why I want to list this great little paperback — it isn’t so much the recipes for delicious-sounding holiday snacks nor the recipes for making little satchels and gifts for friends and neighbors. Those are nice, giving the book an upbeat and fun-loving DIY feel. But the major point of this, as with other Ace Collins books, are the stories. 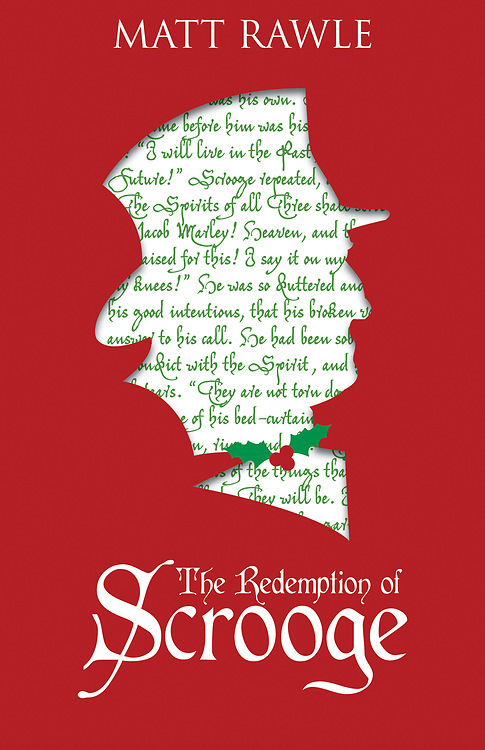 The stories behind the Advent and Christmas hymns. Collins guides us through 31 readings starting in December through the new year, offering joy and wonder by pondering the meaning of not only Christ’s birth but the songs and carols that have developed around this joyous season. This book of daily Scripture readings and activities and often very touching stories about popular Christmas traditions, carols and movies would make a lovely gift for someone you want to share with but for whom you may not want to “come on too strong.” Who wouldn’t like this handsome paperback chock full of lovely ideas and inspirational stories? Buy a couple and give ’em away. Cheers. So what is one the playlist of an esteemed expository preacher like Begg? Mary’s Song: What Is God Like? Zechariah’s Song: Why Do You Need God? The Angel’s Song: How Did God Come? Oh yes, there’s another tune he explores in a concluding chapter: “Once in David’s Royal City.” I think such good sermons on these key texts are good for any of us, but this is, I gather, designed to be given to those who are unsure of the meaning of Christian faith and the holiday itself. Perhaps you know someone who needs this sort of evangelistic prompting? Perhaps God will guide you to somebody to share it with. Kudos to Good Books (from England, actually) for making this little hardback handsome and affordable. 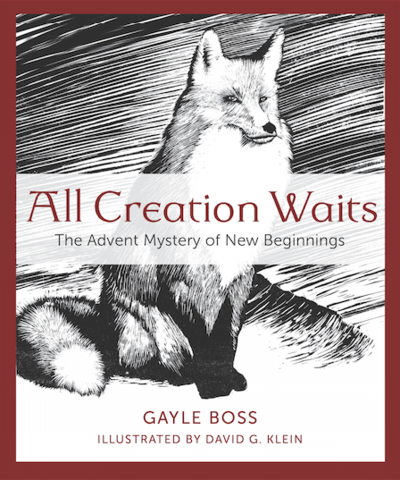 All Creation Waits: The Advent Mystery of New Beginnings Gayle Boss, illustrated by David G. Klein (Paraclete) $18.99 What a truly beautiful book this is, both in its simple but somehow luminous prose and in its large size woodcuts. It is a wonderful read, great to read aloud as a family, even — I don’t think it is necessarily a kid’s book, but it could be enjoyed by all ages. Here are twenty-five fresh images of the foundational truth that lies beneath and within the Christ story. In twenty-five portraits depicting how wild animals of the northern hemisphere ingeniously adapt when darkness and cold descend, we see and hear as if for the first time the ancient wisdom of Advent: The dark is not an end but the way a new beginning comes. Beautiful, huh? 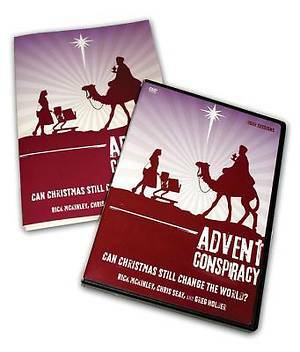 We’re very happy to promote it, but have some misgivings about it being pitched as an Advent book. As most Advent customs teach us, it is a time of longing for Christ’s coming, and well, somehow related to the first coming of the Christ born in Bethlehem. This book uses the meditative time of Advent to point us to metaphors of darkness and light, of animals hibernating or surviving. 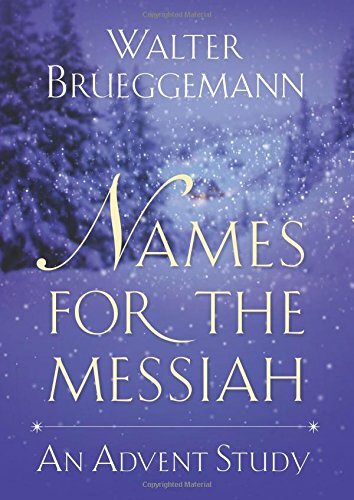 It is wonderful as a Winter book but seems a bit of a stretch to make this about “the true meaning of Advent” (although there is some mention of Jesus in the final reflection.) It is a great book, lovely and insightful and important, even, just not exactly pushing us to the gospel of Bethlehem. Each of the beautiful creatures in this little book is a unique word of God, its own metaphor, all of them together drawing us to the One we all belong to. Adapting to the dark and cold they announce in twenty-four different ways the Good News of Advent: that through every dark door the creating Love of the universe waits. This book reminds me of what St. Paul tells us in Romans 8:19–All creation waits! In this invigorating view of Advent the contrasts are beautifully presented– between darkness and light, waiting and arrival, sleeping and waking, human and animal creatureliness. The stories and illustrations partake of the kind of reality Christ exemplified in his Advent. How lovely that Gayle Boss and David Klein has taken Paul’s insight– “all creation waits”– and translated it to include the creatures whose lives are caught by winter. How helpful it is to join the animals during their Advent waiting. 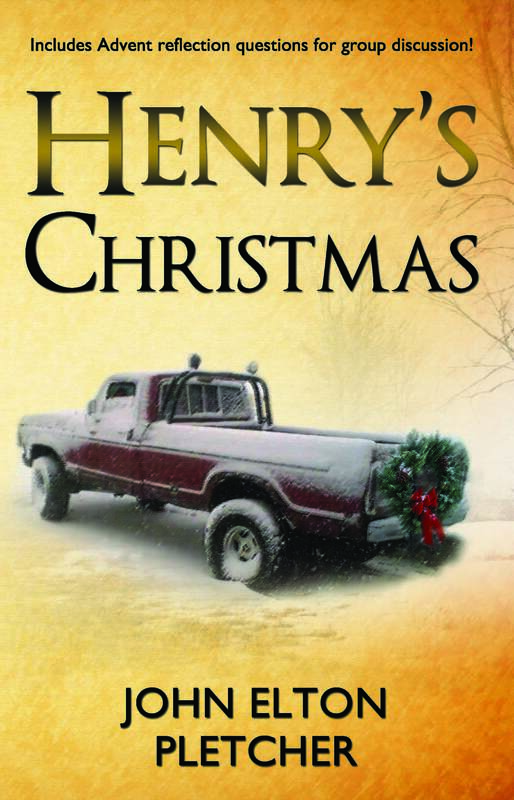 Henry’s Christmas John Elton Pletcher (Crosslink Publishing) $17.95 I want to persuade you to try this short Christmas novel, but want to be clear. It is a lovely little story written by a local friend and very good pastor. He has encouraged his flock to think faithfully about discipleship in all of life, including their work and callings in the world, so this alone makes us respect him. Happily he wrote a book about the faith and work stuff, but didn’t just rehash the many good works already published calling us to connect “Sunday and Monday, work and worship.” In Henry’s Glory Rev. John Pletcher wrote a novel to explore a Christian view of work. With a bunch of interesting characters, the main protagonists Zach and Maggie learn to see their work as part of God’s intentions and how they can use their own callings missionally, for the sake of making a difference in the world. There is a wrench on the cover and Henry, by the way, is an old Ford pick up truck. Well, Henry makes a repeat appearance in this story as Zach and Maggie and a cast of colorful characters figure out some of the deepest lessons of faith. It’s a fun and interesting holiday story, a parable for our times. There are 28 chapters in Henry’s Christmas and it includes four sets of Advent questions for group discussion making it ideal for a seasonal small group or book club. 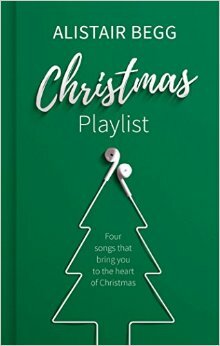 Looking for something somewhat Advent-oriented but maybe not a full on Christmas devotional? This short novel could be just what your group or class is looking for. I think families could read it out loud together. In a way, this fits the genre of those much-loved holiday movies. It isn’t heady or heavy — although it is raising breathtakingly significant matters with huge implications — and it includes a lovely little romance. Maybe a little cheesy at times, it is still sweet and good and just a great thing for this time of year. Set partially in Pennsylvania (although the opening truck smash-up with a hotdogging Chevy happens in small town Southern Ohio as Zach is visiting his grandmother for Thanksgiving) Henry’s Christmas will resonant with many of us who live in small towns and try to live out our faith in day to day work, families, career decisions and lifestyle choices. Who try to learn to live with integrity and care about our neighbors and those who suffer. Zach — owner of old Henry (the Ford truck; get it?) — is a young architect and his romantic partner, Maggie, is a veterinarian who owns her own practice. This story isn’t going to win a Nobel Prize for Literature; Pletcher is a sweet and thoughtful pastor, a wise teacher, and an interesting writer. Serious lit lovers will cringe here and there at the dialogue, but for an enjoyable read that raises great questions about both Christmas and the meaning of work (not to mention a key plot device about a mission trip to Haiti and our mission priorities) will be more than happy to read this. There is nothing quite like it. Call up some friends, buy a couple copies, and use the very useful study questions to plumb the depths of this Advent parable. Or, like those old Christmas movies, get some popcorn, curl up with some hot chocolate and read it in one or two binge sittings between Thanksgiving and Christmas. You’ll be glad you did. Watch for the Light: Readings for Advent and Christmas compiled and edited by Plough Publishing (Plough Publishing) $24.00 We have been so proud of this anthology of beautifully written, substantive writings and continue to promote it each year. This sturdy hardback includes short daily pieces by a real variety of sophisticated authors such as Dietrich Bonhoeffer, Annie Dillard, T.S. Eliot, Evelyn Underhill, and Dorothy Day. From Thomas Merton to Philip Yancey, from Madeline L’Engle to Henri Nouwen these pieces are provocative, thoughtful, lovely. This really is a great resource, good to have on hand beyond Advent. See also their fabulous Lenten volume, Bread and Wine: Readings for Lent and Easter. 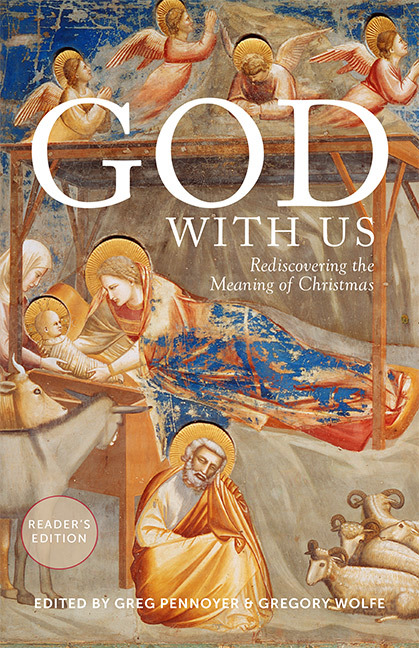 God With Us: Rediscovering the Meaning of Christmas (Reader’s Edition) edited by Greg Pennoyer & Gregory Wolfe (Paraclete Press) $18.99 We so loved the larger hardback with so much lavish, full-color art, but that is now fully out of print. This very handsome paperback, nicely designed and produced, is still a gorgeous book and so full of mature, seasonal reflections. Here you will find reflections by Eugene Peterson, Richard John Neuhaus, Scott Cairns, Lucy Shaw, Kathleen Norris and a final piece about Epiphany by Emilie Griffin. Beth Bevis offers an informative and lovely history of various feast days. The best. 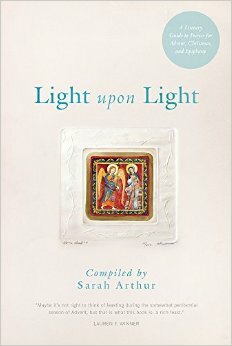 Light Upon Light: A Literary Guide to Prayer for Advent, Christmas and Epiphany compiled by Sarah Arthur (Paraclete Press) $18.99 This was one of our very best sellers of last year and I’m not sure what I wrote about it that so captured the imagination of the friends of Hearts & Minds, but it is a wonderful, wonderful devotional book drawing on literary excerpts, poems, short stories and the like. (Ms Arthur also has a similar one to use during Ordinary Time called At the Still Point: A Literary Guide to Prayer in Ordinary Time and one for use during Lent called Between Midnight and Dawn: A Literary Guide to Prayer for Lent, Holy Week, and Eastertide.) In each she offers a devotional with prayerful readings compiled from great, great writers. This really has the structured format of a prayer book, with an opening prayer for each day and suggested Scriptures and then readings (followed by suggestions for personal prayer and a closing prayer.) The suggested readings, day by day during Advent and into Epiphany, include poetic lines from writers such as Elizabeth Barrett Browning and Alfred Lord Tennyson or pieces of novels from Frederick Buechner or Oscar Hijuelos. There’s plenty of good use of poetry, older and contemporary, hymn-texts and literary essays. For anyone that loves great writing, this is a beautiful and meaningful way to ponder the Advent season through the lens of these wonderfully-selected writers. A very handsome cover, rich and warm. 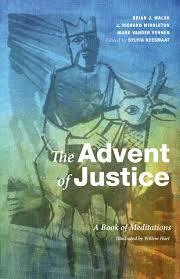 The Advent of Justice: A Book of Meditations Sylvia Keesmaat, Brian Walsh, Richard Middleton, Mark Vander Vennen (Cascade) $10.00 I have raved about this over and over, use it every year, and insist it is the most deeply Biblical Advent devotional I know. The readings are usually just a page, but they are thick with Older Testament insight, reflecting as they do on the ways in which the ancient Isaiah texts so famous for generating Advent hope, are much like today with our militarism, idolatry, injustice, and cultural captivity. Can God’s covenant people break out of such captivity? Can we truly hear these texts for their modern implication? This was first done as a resource for a Canadian peace and justice organization and now is offered to help us see how awaiting God’s Kingdom can shape us into people who care about justice and God’s righteousness in contrast to modern idolatries and ideologies. If you are unfamiliar with this, think of Keesmaat and Walsh’s Colossians Remixed or Walsh’s Habakkuk Before Breakfast or Middleton’s A New Heaven and a New Earth or Vander Vennen’s role in a book on global concerns co-written with Dutch economist Bob Goudzwaard, Hope in Troubled Times. These are all good friends, respected leaders, extraordinary BIble scholars. Whew. This is truly remarkable — creatively done with great wit, offering solid Bible teaching presented casually, and some very interesting, even inspiring, real interviews of folks who have taken up this challenge to spend less and serve more.This will help us ask, “Whose birthday is it, anyway?” Right on.